To prevent an ABS-Lock III anchorage point from being accidentally bent during the pre-tensioning process, it can be reinforced using one of our specially designed stainless steel ABS-Lock III Supporting Tubes (Ø 42 mm). Simply contact us to check whether your anchorage point can be upgraded prior to installation. 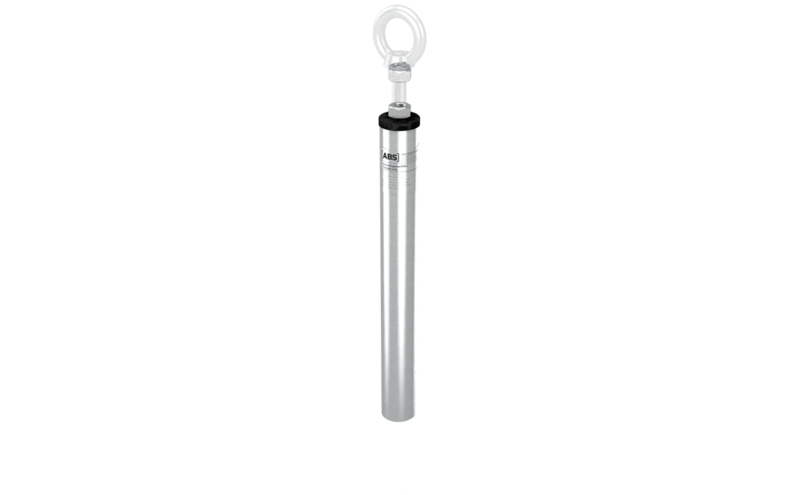 Use an ABS-Lock III Supporting Tube to reinforce a suitable ABS Safety anchor for usage in an ABS-Lock SYS I-IV lifeline system. Reinforcement is particularly needed at the corners, in curves and at the end brackets: The level of pre-tensioning required for a stainless steel cable in a lifeline system may otherwise lead to unintentional deformation of the supports. However, this is not a problem, if you add a supporting tube! Many of our anchorage points are automatically supplied with a permanently welded-on supporting tube for usage in a lifeline system - but you can also reinforce a simple stainless steel rod in arrears by simply adding an ABS-Lock III Supporting Tube. Most of our ABS Safety anchorage points for securing individuals are suitable for usage in a lifeline system. In addition, many of them can also be upgraded using a supporting tube. This, however, does not apply to some of our ABS-Lock III models. Please ask our experienced Team members in advance whether it necessary and/or possibly to reinforce your anchor. We would be happy to support you with the planning of your lifeline system and to help you find the perfect fall arrest solution for your project.